German politicians have started to talk about the abolition of anti-Russian sanctions, as successful cooperation with Moscow in Syria cannot begin while they are in place. German Vice-Chancellor Sigmar Gabriel said that it is impossible to simultaneously support sanctions and ask Russia for cooperation. German Vice-Chancellor Sigmar Gabriel hinted at the possibility of lifting the economic sanctions in the event of successful cooperation with Russia in Syria, German newspaper Die Zeit reported. "We will have to change our attitude to Russia," the politician said. 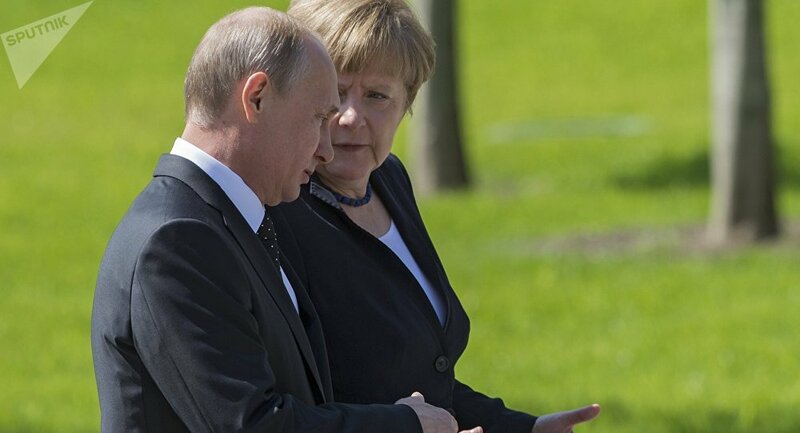 According to him, the rapprochement could start with the construction of a second branch of the Russian-German Nord-Stream pipeline and be completed after the abolition of the sanctions. "The conflict over Ukraine cannot influence the attitude of Germany, Europe and the United States to Russia so much that Russia would stop being a partner in Syria," Gabriel stated, indirectly supporting the abolition of sanctions against Russia, regardless of the implementation of the Minsk Agreement. According to the politician, the West cannot maintain sanctions, on the one hand, and ask for cooperation, on the other. The Vice-Chancellor also touched upon the issue of the refugee inflow from the Middle East and stated that the United States and the Gulf states should deal with the migration crisis on the international level. "The United States should make greater efforts since they are partly responsible for the emergence of refugees from the war in Iraq," Gabriel said.